foil stamping. Bella Smooth Cotton 2-ply paper in white. 1 foil color (copper matte). 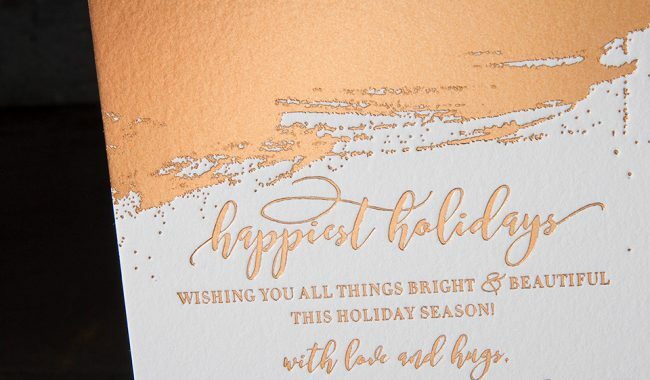 the foil stamped holiday card (4.625″ x 6.25″). 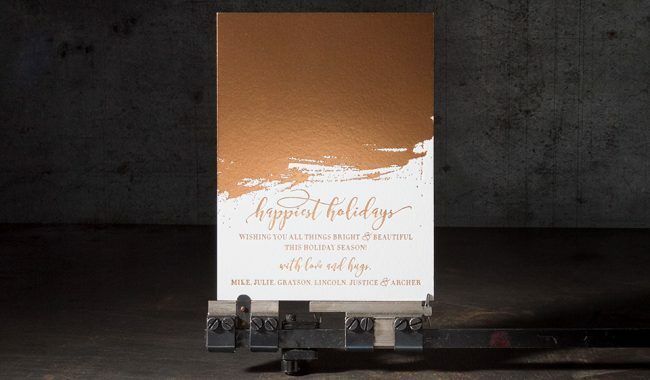 We created a custom holiday card with heavy copper matte foil coverage for the O’brien family holiday cards. 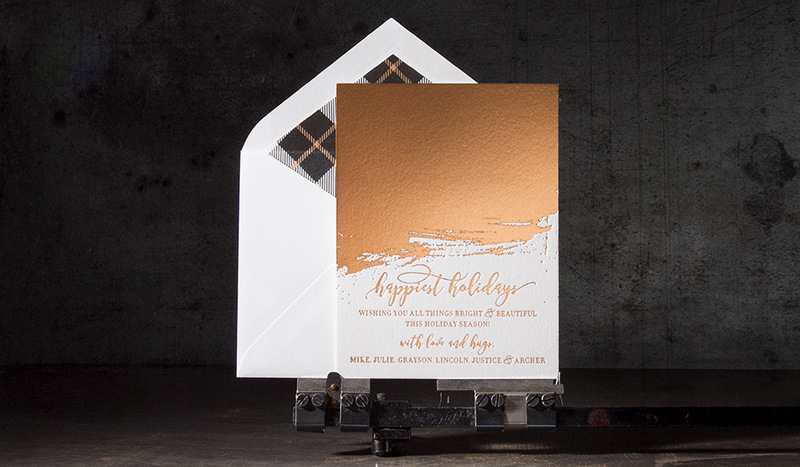 A digitally printed tartan envelope liner in black and antique gold inks added to the chic look, which included digitally printed guest addressing and a letterpress printed return address.